When General Hospital’s Jason Morgan (Steve Burton) and Samantha McCall (Kelly Monaco) met on December 3, 2003, their lives would never be the same. Disclaimer: This is a review of The General Hospital Collection: The Best of Jason & Sam. The opinions expressed are that of the writer and not The Nerdy Girl Express. If you are a fan of Jason and Elizabeth, Jason and Courtney or Sam and Drew, this piece is only discussing Jason and Sam and the material presented in the collection. When I first saw the above promo, as a fan of Jason and Sam I was eager and excited to view this collection and see Jason and Sam’s history and the moments that made me fell in love with them all over again. 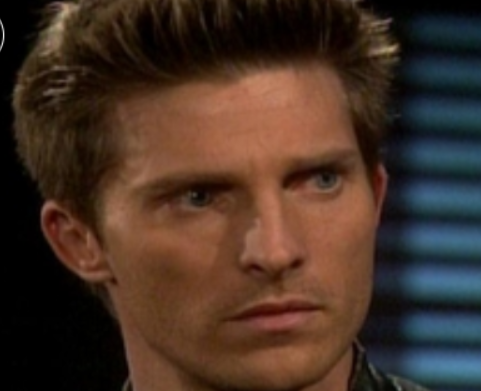 Like many JaSam (Their ship name) fans, when Steve Burton returned to General Hospital on September 19, 2017, I longed for their reunion. But five years was a long time to be apart. Although for Jason, it felt like only yesterday since the last time he and Sam were together, she had changed. Sam suffered through grief over losing him and was elated when she discovered he was alive (not knowing it was his twin brother Drew Cain who had been implanted with Jason’s memories via an experimental procedure). But I digress. I’m not here to talk about Sam and Drew or Jason and Sam’s future (or even if they have one) but to discuss their past as presented in The General Hospital Collection: The Best of Jason & Sam. This collection highlights the greatest moments in the romance of Jason and Sam starting from their first meeting in 2003 to that fateful day on the pier in 2017 when Jason was shot and presumed dead. Jason Morgan and Samantha McCall met at Jason’s home away from home: The interrogation room at the PCPD where they were taken after being arrested. Sam was accused of being Sonny’s accessory for driving the getaway car after Corinthos’ attempted murder of Lorenzo Alcazar. In truth, Sonny held a gun on her and forced her to drive him. But despite this, Sam refused to testify against Sonny even if it meant she’d be jailed. From this very first meeting, Jason and Sam’s chemistry was obvious. And Jason deemed himself her protector going as far as offering to lie he was the father of her baby when Ms. McCall became pregnant by Sonny. Jason’s greatest assets are his loyalty and his willingness to sacrifice his own happiness to take care of others. But it became less of a sacrifice when Jason found himself falling in love with Sam. They complimented each other perfectly. Both were strong and resilient. And despite the dangers they faced, Sam and Jason could always count on each other. This collection showed aspects of this coupling’s relationship that has endeared them to viewers: Their first kiss, game of tequila and dominoes, Jason’s proposal and their wedding at Noodle Buddha. It showcased what’s special about Sam and Jason. Although their lives have always been complicated, their love for each other is not. And their wedding represented who they are. None of the fancy trappings Maxie wanted, just them declaring their love for each other. Jason stood under the symbol of The Dragon, a symbol of strength and Sam stands under The Phoenix which the owner’s grandson who performed the ceremony stated “Goddess of all winged creatures harvest luck and success and prosperity. She can turn bad luck into good. Together, The Phoenix and The Dragon are the ultimate sign of Yin and Yang.” This perfectly symbolized Jason Morgan and Sam McCall. This is the perfect description of this couple: Jason is the Yin to Sam’s Yang. I enjoyed watching The General Hospital Collection: The Best of Jason & Sam. If I have any complaint about the episodes chosen, it would be that some of them featured very little of Jason and Sam. But I can understand that as episodes were chosen based on the significance to Jason and Sam and couldn’t account for other story lines going on at the time. Though besides for Jason and Sam, it was good seeing the other couple I liked, Emily and Nikolas, though the Connor Bishop saga left a lot to be desired. And no offense to Alicia Leigh Willis who was a fine actress, I wasn’t the biggest Courtney fan. Also a plus was seeing Tamara Braun (currently Dr. Kim Nero) playing Carly. General Hospital was pretty lucky with its Carlys (except Jennifer Bransford who in my opinion didn’t fit the role). Sarah Joy Brown, Tamara Braun and Laura Wright all had great chemistry with both Jason and Sonny. I think watching this collection also reinforced why the present version of Jason and Sam seems off. 2017-2018 Jason and Sam appear stiff and forced around each other. I’m going to take this as the fact that they’ve been apart so long and have changed. This is why I can accept that a reunion (if that’s where the writers are going) is taking so long. I also want to add that by being a fan of Jason and Sam, I’m not in any way criticizing the romance of Sam and Drew or the fans of this couple. In fact, I’m a fan of both pairings but lean more towards Sam and Jason. Probably because as a longtime viewer of General Hospital (I started watching in 1978), Sam and Jason have a more established history filled with love and heartbreak. That being said, all three actors Steve Burton, Kelly Monaco and Billy Miller deserve our respect for bringing these characters to life. The fact that fictional television characters can stir so much passionate responses from viewers is a testament of their acting. All in all, The General Hospital Collection: The Best of Jason & Sam was a welcome treat. I hope ABC and Clorox will partner in the future to bring us more collections like this.